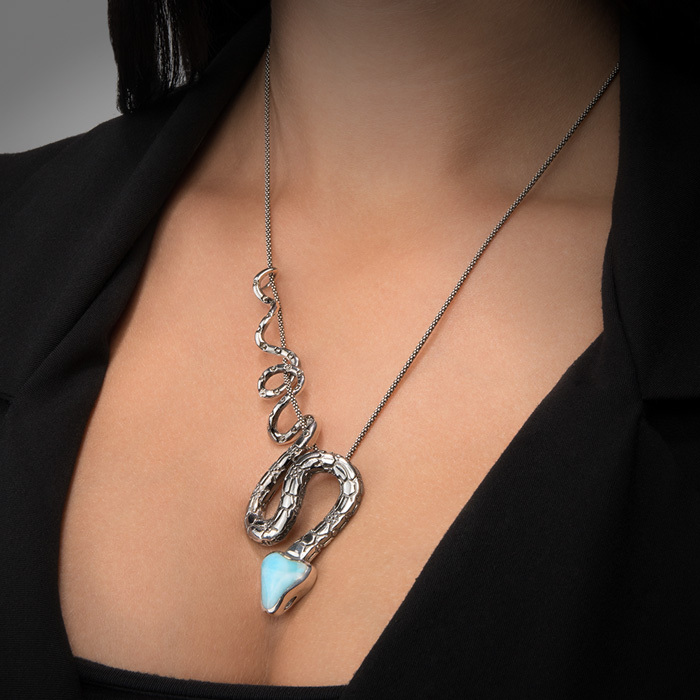 Swirling coils of our mysterious Snake necklace seem to slither around the sterling silver chain. Is it moving? It’s hard to tell with this charming piece! Product Details: 13x15mm larimar gemstone with blue topaz and oxidized sterling silver. Overall size is 34x103mm. Comes with an adjustable 21” sterling silver chain with an easy, sliding mechanism and lobster clasp that you can set to the perfect length for your look!